Get a training at your own level! 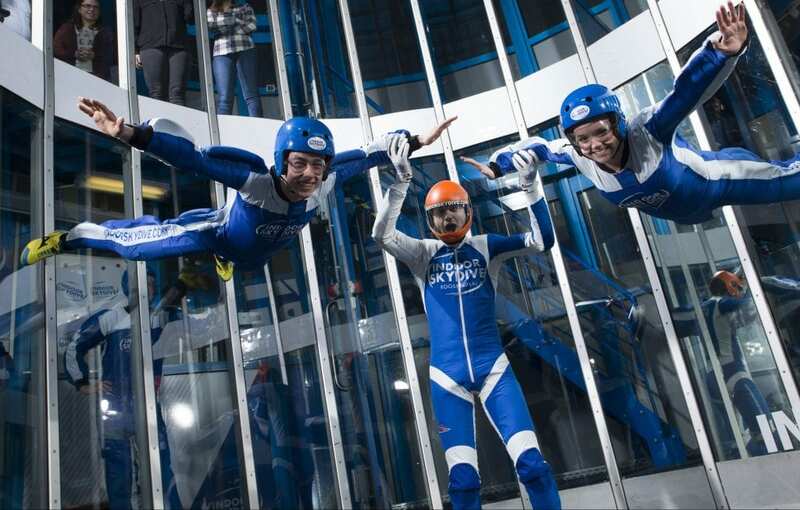 Do you want to learn and improve your indoor skydiving skills? And are you ready for the next steps after getting your indoor skydive wings? Then our indoor skydive training packages are suitable for you. At Indoor Skydive Roosendaal we offer unique and comprehensive trainingpackages. By following the indoor skydive trainings you will train yourself, meet other indoor skydivers and you can also participate in events! It’s time for the next step in your indoor skydive career! 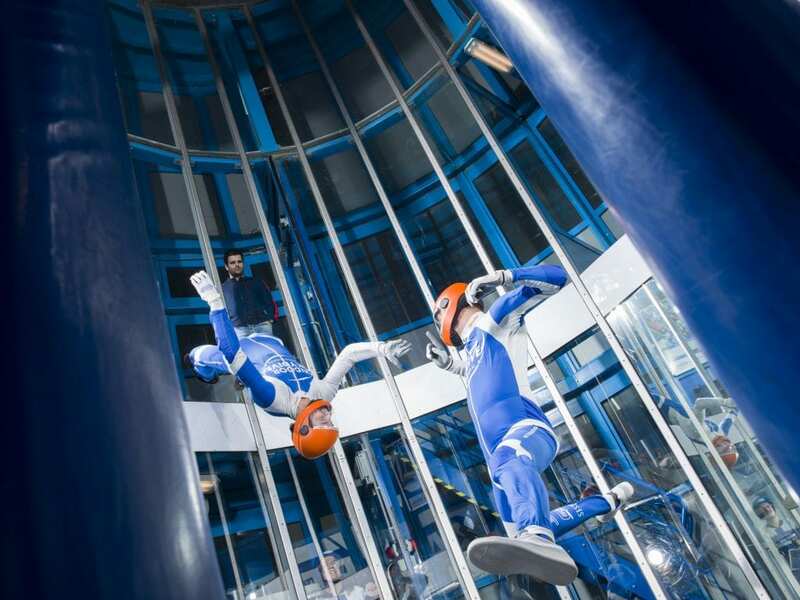 We offer various indoor skydive training in our windtunnel located in Roosendaal. Exercises that are compiled by our internationally certified indoor skydive instructors! At Indoor Skydive Roosendaal you can choose from three different indoor skydive trainings: Free Fly FUNdamentals, Share the air or AFF training. Choose the training that fits your level! During the Free Fly FUNdamentals training you will learn the principles of free flying. This way you learn to take various skydive attitudes including bellyflights, backflights, head-up or head-down or how to walk in the wind tunnel. In addition, you will learn how to make transitions in the tunnel. All this according to the Tunnel Instructor Flyer Rating system. Would you rather learn to skydive indoors? Then we recommend the Share the air training! After this training you know exactly how to respond to each other’s maneuvers. 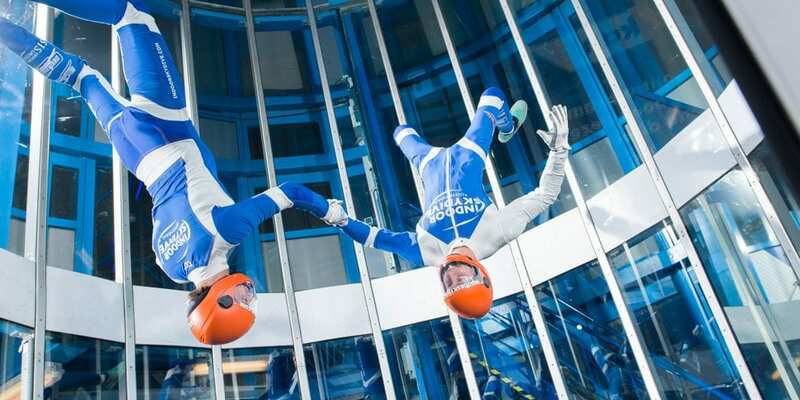 In addition, you get to know the basics of the indoor skydiving together! To follow this training it is important that you come with at least one more person. For example, with a friend you encountered during the indoor skydiving or parachuting. In addition to a lot of educational and fun sessions, you will benefit from beneficial rates! Finally, we offer AFF-training in preparation for your AFF course. These special AFF training packages are compiled by recognized AFF instructors and experienced instructors of Indoor Skydive Roosendaal. For the preparation of this course we offer two training packages: AFF Basic and AFF Ready. Check out all our training options and choose the indoor skydive training that suits you! The Share the air training is special for indoor skydivers who want to fly together. You will learn the basics of formation skydiving under supervision of an experienced instructor! During Free Fly training you will learn the basics of Free Fly. This way you will learn various skydive attitudes including bellyflights, backflights, head-up or head-down. Do you want to get your AFF certificate to jump outside out of an airplane? 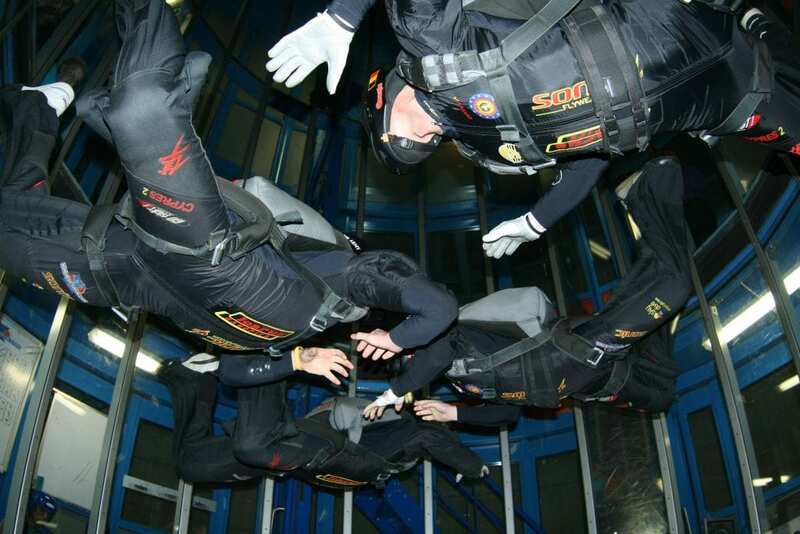 Then train the freefall indoors, in the perfect environment at Indoor Skydive Roosendaal. In preparation for the AFF course we offer two training packages: AFF Basic and AFF Ready. Do you have ambitions to improve your indoor skydive skills? Then check out our various indoor skydive trainings. Based on years of experience, we have compiled a unique lesson plan. These unique trainings are performed and guided by experienced and internationally certified indoor skydive instructors! Are you looking for a wind tunnel where you can train, that is centrally located in the Benelux? Then Indoor Skydive Roosendaal is the place to be! The wind tunnel is located near the Belgian border and also near drop zones Hoevenne and Skydive ENPC at Breda International Airport. In addition, our indoor skydive center is provided with all conveniences, such as a teamroom, creeper space and a debrief monitor in the wind tunnel. Book your indoor skydive training!